It was a long time coming, but finally my patience in backing Wink on Kickstarter has paid off, and the robots are here and raring to go! 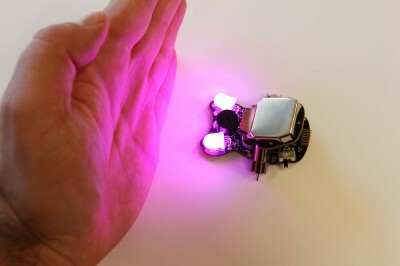 Wink is small, Arduino powered, full of sensors and very, very quick. Produced by PlumGeek in Oregon in the US, it has been designed to be programmed with the standard Arduino Integrated Development Environment (IDE), rather than being dressed up with a special app and its own dialect of, say, Scratch. 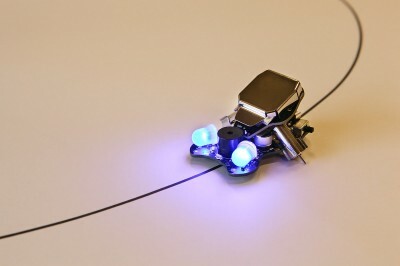 It has been designed from the ground up as an educational robot. It is packed full of sensors, including ambient light sensors, edge detection and line detection sensors. It can also sense barriers, as can be seen in the slide show above. Wink comes pre-programmed with 3 distinct behaviours – a funky disco dance, that looks really cool when there is a bunch of them doing it, light seeking and barrier avoidance. The light seeking behaviour can be especially funny, as if it gets too bright Wink’s eyes turn from blue to red and his motors move so fast they scream! Also, barrier avoidance gets interesting when there are several robots on the same piece of floor or tray. Programming Wink needs a computer – PC or Mac – with the Arduino environment installed. I’m testing a possible way to write programs on an iPad but this still needs a computer to download them to the robot, but I’m not sure yet how this might work in a classroom environment where the number of iPads exceeds the number of computers. 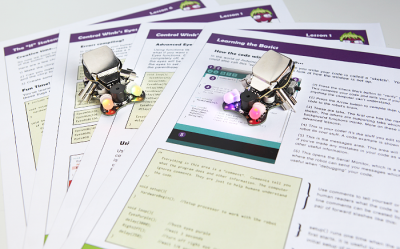 Nevertheless, I’m highly recommending Wink for school robotics workshops. 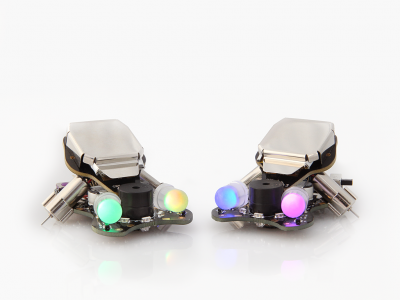 Wink's eyes are individually programmable, so they can display different colours at the same time. 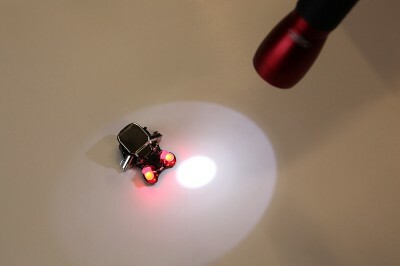 Wink is able to detect light sources and whizz towards or away from them, depending on his programming. 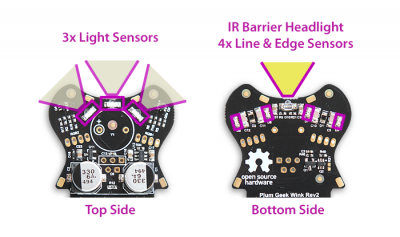 Here are all the sensors that Wink has. Power packed, or what?